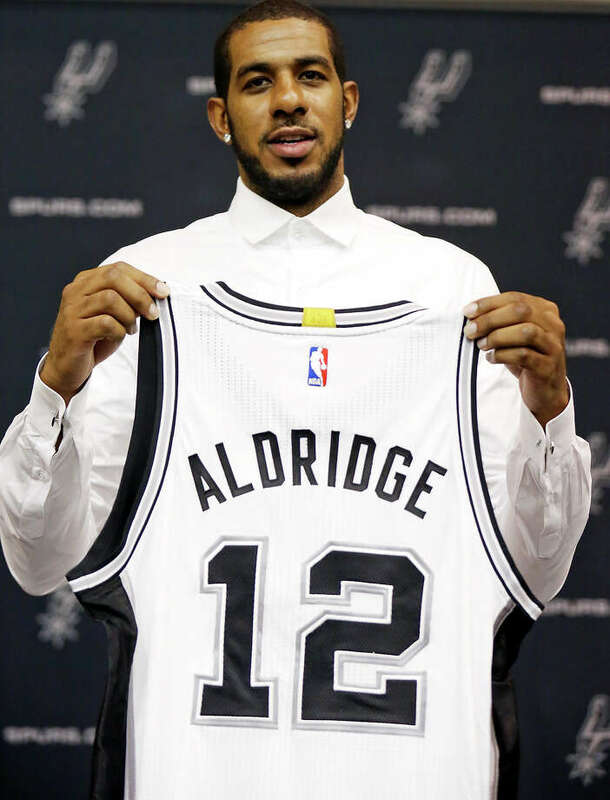 The dawn of a new NBA season is upon us, but it’s same standard of excellence for the San Antonio Spurs. Each of the last 18 seasons have seen the Spurs make the NBA Playoffs and they’ve done damage when they get there as they’ve won five NBA Championships. The Spurs dynasty has mainly consisted of power forward Tim Duncan, shooting guard Manu Ginobili, and point guard Tony Parker as the trio has combined to win four of the Spurs five NBA Titles with Duncan leading the way in 1999. And as this trio is now in its mid-to-late 30’s, nothing last forever which is something that is not lost on Spurs general manager R.C. Buford and head coach Gregg Popovich. Popovich knows how to keep his veteran players fresh for the stretch run of the season by managing their minutes early on which gives his role players the opportunity to gain quality playing time which always pays dividends in clutch situations down the stretch. The Spurs consistently have one of the deepest teams in the NBA which will once again be magnified this season. This past summer saw the Spurs dip into free agency which is something that they don’t normally do. Recognizing that Duncan is 39-years of age and that he doesn’t have much more basketball left in the tank, the Spurs went out and signed power forward LaMarcus Aldridge. Aldridge has spent his entire nine-year NBA career with the Portland Trailblazers where he averaged 19.4 points and 8.4 rebounds per game while being named to four NBA All-Star teams. And the Spurs are hoping to transition to Aldridge into becoming their main post presence in the same fashion that David Robinson passed the torch Duncan many moons ago. The Spurs also signed veteran power forward David West and shooting guard Jimmer Fredette over the summer. West is a grizzled veteran that has seen his fair share of the wars in the paint in the NBA as he has played for the New Orleans Hornets and Indiana Pacers and he is now looking to put a league championship on his resume. What West gives the Spurs is another unselfish player that is not afraid to crash the boards while giving them a presence in the post coming off of the bench. The Spurs are one of the best shooting teams in the NBA from behind the three-point arc and what Fredette provides them with is another solid deep shooter and he’ll enjoy playing pick and roll along with coming off of screens in San Antonio. The Spurs are the most unselfish team in the NBA which is why they are always in contention to win the NBA Championship. Small forward Kawhi Leonard is emerging as a star and as he has already won a title along with being NBA Finals MVP, he might be able to add NBA All-Star to his resume this season due to the fact that he is becoming a solid two-way player in the league. And as long as Parker is able to continue to penetrate the lane and kick out the basketball, shooting guard Danny Green will continue to knock down open shots from downtown. The Spurs will need a little bit of time gel, but they’ve always been a tremendous second half team under Popovich which means that we can expect another deep run in the playoffs next spring. The Houston Rockets are coming off of their best campaign since the 1996-1997 NBA season when they went 57-25 and reached the Western Conference Finals. Last season the Rockets won 56 games and they made a surprise appearance in the Western Conference Finals. But with it being so difficult to consistently make deep playoff runs in the Western Conference, what will the Rockets be able to do for an encore this season? In three years with the Rockets, shooting guard James Harden has become one the top scoring threats in the NBA. Harden is coming off of a season which was worthy of him winning the NBA MVP Award, but that honor went to Golden State Warriors point guard Steph Curry. 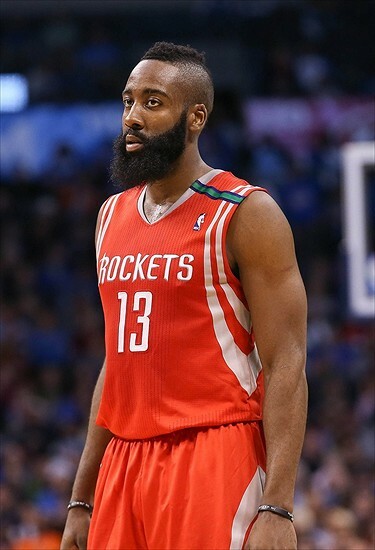 Harden averaged 27.4 points last season along with 5.7 rebounds per contest. Harden also knew how to get his teammates involved as he averaged 7.0 assists per game as well. This season Harden has help in the backcourt in the form of point guard Ty Lawson. The Rockets acquired Lawson from the Denver Nuggets where he had an up and down six-year stint. Lawson is one of the better point guards in the NBA, but he wasn’t fully motivated over the past few seasons in Denver which is something that should change now that he is playing along side Harden. There are some critics of Rockets center Dwight Howard who want to see him take his offensive game to another level. But Howard is an 11-year NBA veteran who will be 30-years old this December and at this point, what you see from him is exactly what you are going to get. Howard is a three-time NBA Defensive Player of the Year who has led the league in rebounds on five separate occasions. And with Harden, Lawson, and all of the three-point shooters that Houston employs under head coach Kevin McHale, the Rockets strictly need Harden to be a presence in the paint defensively while continuing to clean up on the glass. No team in the NBA attempted more three-point shots than the Rockets last who chucked up 32.7 per game and you can expect more of the same with Harden, shooting guard Jason Terry, small forward Corey Brewer, and rookie forward Sam Dekker leading the way. The Rockets will once again be one of the most entertaining teams in the NBA and the addition of Lawson at the point guard position could help them achieve better things this season. The past few years have seen a common theme attached to the Memphis Grizzlies which is that they are a team the nobody wants to face in the NBA Playoffs. The Grizzlies have won at least 50 games in each of the last three NBA seasons as they are matchup nightmare for opponents due to the fact that they have two quality big men in power forward Zach Randolph and center Marc Gasol. Gasol had the ability to leave Memphis over the summer as a free agent, but he decided to stay and he was rewarded by the Grizzlies with a new five-year, $110 million contract. What makes it so difficult for teams to defend Gasol and Randolph is that they have different offensive skill sets. Randolph plays more in the post while Gasol who can post up, is a great perimeter passer and scorer with the vintage “European” game. But the Grizzlies are more than Gasol and Randolph with solid contributors in point guard Mike Conley and small forward Jeff Green in their starting lineup while they also have solid and versatile role players in swingmen Tony Allen and Courtney Lee along with small forwards Vince Carter and Matt Barnes. The Grizzlies allowed the second fewest points in the NBA last season and once again under head coach Dave Joerger, the FedEx Forum in Memphis will be the “Grindhouse”. The Grizzlies have a favorable schedule to begin the season and a fast start could be exactly what they need as far securing one of the top four seeds in the Western Conference which would give them home-court advantage for at least the first round of the NBA Playoffs. Last season saw the New Orleans Pelicans make tremendous strides as they made their first trip to the postseason since 2011, but it wasn’t enough for Monty Williams to keep his job as their head coach as he was fired. Williams was replaced in New Orleans as Pelicans head coach in favor of Alvin Gentry. Gentry spent last season as an assistant coach with the Golden State Warriors and he has previous experience in the NBA as a head coach with the Miami Heat, Detroit Pistons, and Phoenix Suns. But in New Orleans, Gentry will be dealing with the most talented team that he has ever coached and his job will be to get the Pelicans to take their game to another level. In just three seasons, Pelicans power forward Anthony Davis is showing the ability that made him the first overall pick of the 2012 NBA Draft. Davis’ numbers have improved in each year in the NBA and as long as he stays healthy, you’re looking at a player that will be the NBA MVP in the very near future. Aside from Daivs, the Pelicans have depth in their front court with center Omer Asik who is a solid rebounder while power forward Ryan Anderson is a consistent three-point shooter. The Pelicans also have potential in their backcourt with point guard Jrue Holiday along with shooting guards Eric Gordon and Tyreke Evans. But like Davis, it is just a matter of them playing healthy. We’ll get a feel about how good that the Pelicans will be right out of the chute as two of their first three games will be against the Warriors who are the defending NBA Champions. But this will be a very fun team to watch this season. Since winning the NBA Championship in 2011, the Dallas Mavericks have had a bit of a rough go at things. Whereas the Mavericks have not posted a losing season since 2000 and they’ve only missed the playoffs once over their current stretch, they’ve been unable to get past the first round of the NBA Playoffs since 2011. 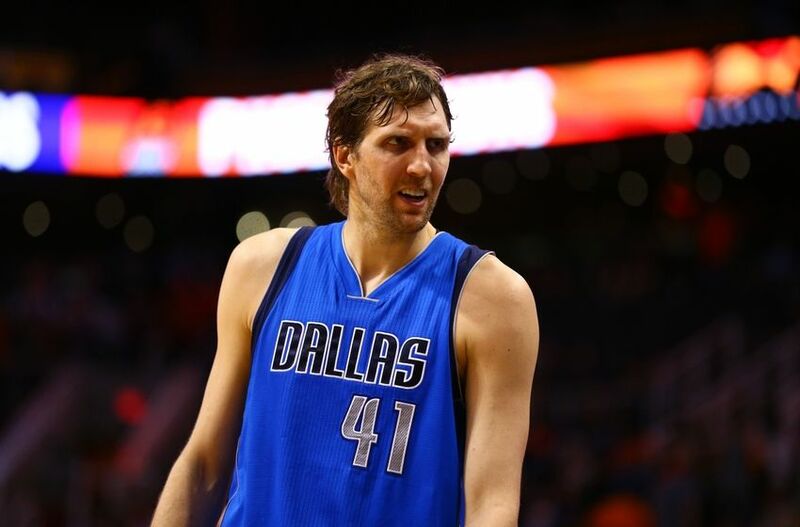 The Mavericks have also been hurt in free agency which took another turn for the worse over the summer. It appeared that the Mavericks were going to sign center DeAndre Jordan when both sides came to a verbal agreement. But Jordan had second thoughts on joining the Mavericks, and being that he had never signed a contract to come to Dallas, he was free to return to the Los Angeles Clippers. Mavericks owner Mark Cuban is one of the sharpest business minds in the world. And in the business world you need to have the ability to roll with the punches along with adjusting which is something that the Mavericks must once again be able to do for the 2015-2016 NBA season. Three of the Mavericks top five scorers from last season are no longer with the team. Point guard Monta Ellis decided to opt of his contract with the Mavericks after leading the team in scoring last season and he elected to join the Indiana Pacers. Last season center Tyson Chandler led the Mavs in rebounding at 11.5 per contest. But in the wake of pursuing Jordan, Chandler wasn’t a priority for the Mavericks and he also left as a free agent to sign with the Phoenix Suns while power forward Amare Stoudemire also left Dallas to join the Miami Heat. 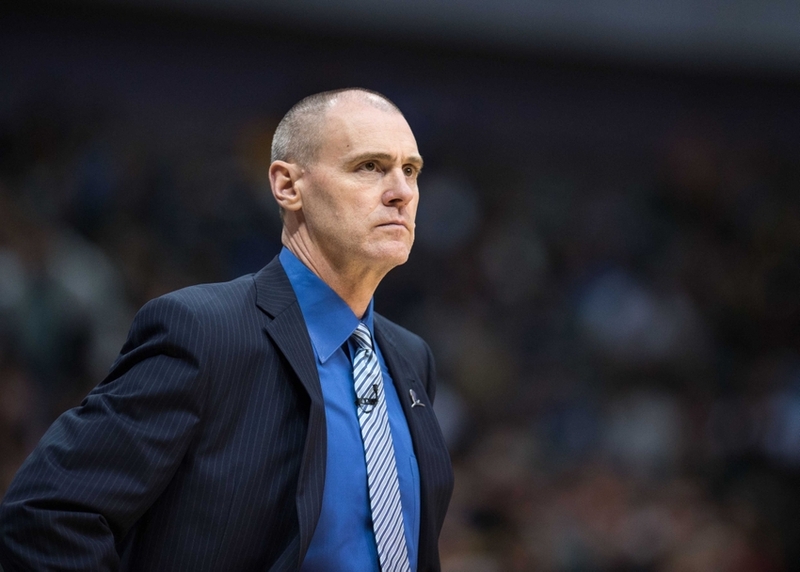 Along with Cuban, the Mavericks still have Rick Carlisle who is in that rare air of quality head coaches that are currently in the NBA. The upcoming season will put that notion to the test as Carlisle will be blending veteran players with new players as the Mavericks look to stay afloat in the Western Conference. Power forward Dirk Nowitzki is set to begin his 18th season with the Mavericks and he is a player that is still a viable scoring option in Dallas. Nowitzki averaged 17.3 points per game last season and Carlisle has done a good job in managing the 37-year old’s minutes which allows him to still be effective in the Mavericks offense. Small forward Chandler Parsons was the Mavericks big free-agent acquisition in 2014, but a troublesome knee limited him last season. Parsons more than likely will not be available when the 2015-2016 NBA season begins for the Mavericks and they are hopeful that he’ll eventually be able to regain his form as a solid wing player. The Mavericks signed shooting guard Wesley Matthews over the summer. Matthews averaged 15.9 points per game last season as a member of the Portland Trailblazers before an Achilles injury ended his season. But Matthews is expected to be healthy for the Mavericks and he’ll provide them with the presence of an all-purpose guard. But the ultimate wild card for the Mavericks this season could be point guard Deron Williams. The Mavericks were able to get Williams on the cheap after he agreed to a buyout with the Brooklyn Nets after a disappointing four-year stint with them. There was a time when Williams was recognized as one of the best point guards in the NBA, and if he is able to be a hungry player this season, Dallas could really benefit. After losing out on Jordan, the Mavericks were able to center JaVale McGee. The Mavericks will be McGee’s fourth different NBA team and although he won’t be a serious scoring option in Dallas, they’ll need him to be a consistent rim protector and rebounder in the mode of Chandler. With so many quality teams in the Western Conference once again, the Mavericks will be fighting hard to avoid getting lost in the shuffle.